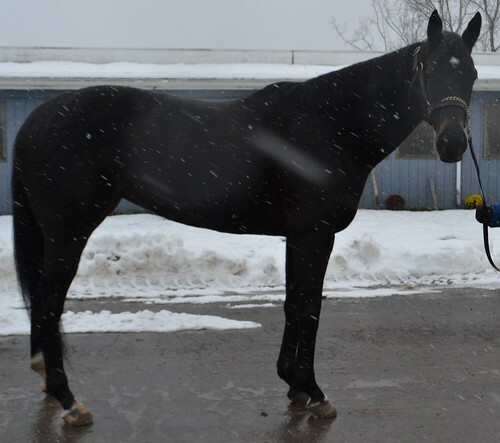 This lovely mare screams upper level prospect to us. “Pie” comes from one of our favorite barns on the backside. When you get a horse from John and Polly, you can rest assured that you are getting a horse who has been impeccably cared for. They truly want to find the most appropriate second career for each of their horses, and it is no different for Pie’s First Lady. Her trainer described her as “her very favorite in the barn”. She reported that Pie really seems to bond with her handler, that she is super sweet, and very good to ride. 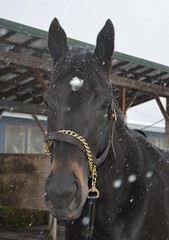 They also report that she LOVES turnout at the farm and turns out well with other horses. She has been in their barn for quite some time and they know her inside and out. Her trainers report that Pie prefers a handler with a gentle hand. She gets a bit anxious when people are rough on her mouth. Because of this, they feel that she would be best suited for an experienced handler. Pie is ridden in a plain D snaffle. They report she has never had any soundness issues and we saw nice clean legs. They report that she can be a stall runner during busy times of the day (i.e. when horses are being walked around, etc). However, she quiets down totally fine when things have settled down. This often improves greatly in a new environment with turnout. We admired her correct, uphill build and thought she was a fabulous mover! She stood very quietly in the road despite it being very cold (and wet and snowy). 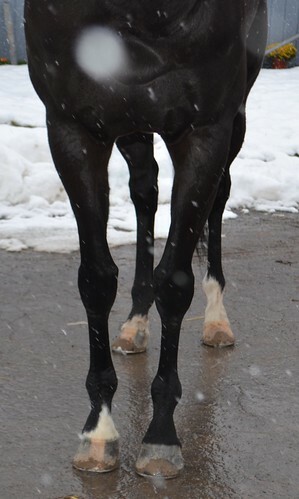 We think she would be a great RRP prospect for 2019. 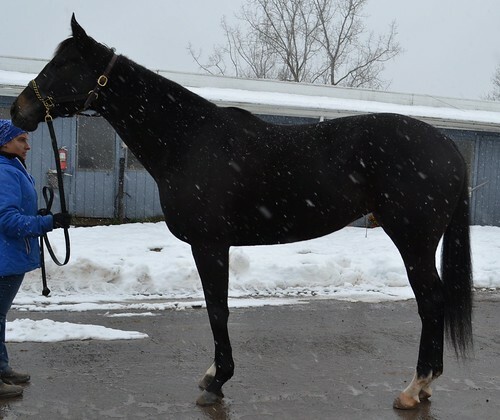 Pie has earned over $98,000 in her 37 starts with 5 wins, 8 seconds, and 5 thirds, an indication of her big heart and sound body. She is by Chief Seattle out of a Signal Tap mare.